Great news guys! Here's another giveaway for you all c/o Fashion Eggplant and ROMWE! 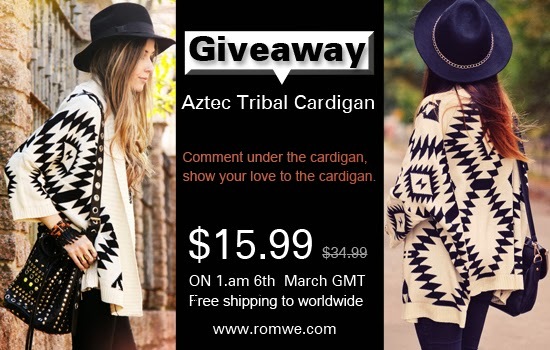 This time around, one lucky reader of mine will get to take home this stylish, timeless and ultra versatile aztec print cardigan from ROMWE! It's one of my favorite pieces and I'm sure you will love it too! I love pairing this with denim shorts only. lol.